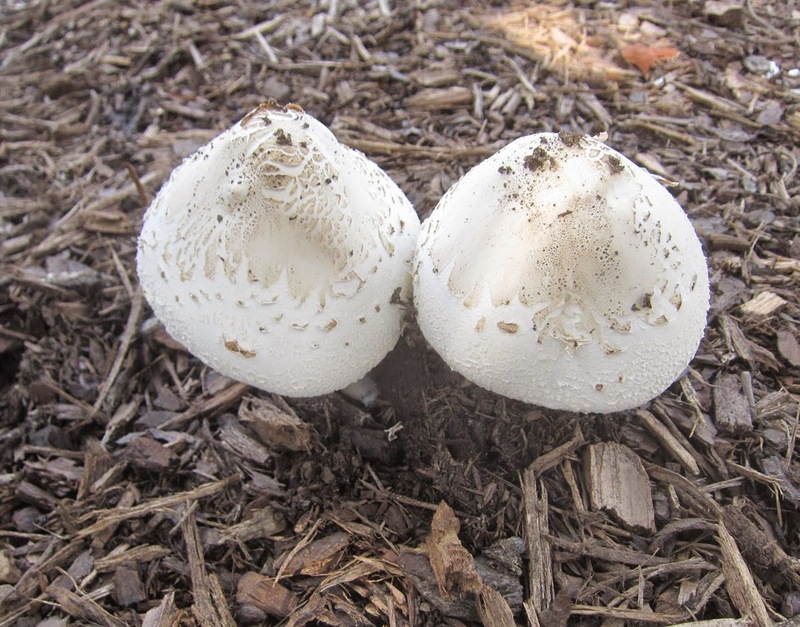 Twin mushrooms have popped up near the corner of 12th St. and Oak St. in Rosslyn. By helping to sequester atmospheric carbon, mushrooms play in important role in Rosslyn's leading efforts to reduce global warming. These darling twin mushrooms, growing up close together, also exemplify Rosslyn's old-fashioned sense of family and community. I don't think so. These two fragile mushrooms show the hopeless situation we confront in places like Rosslyn as skyscraper towers sprout daily like twin mushrooms, resulting an an ever-increasing carbon output that these two tiny mushrooms have no hope of counteracting. More mushrooms, fewer skyscrapers.